Scott Bradlee and his Postmodern Jukebox band take modern hits and play them in old-timey styles with surprise guest artists. The results are awesome. James Sullivan has the story at the Boston Globe. “When the Wang Theatre at the Citi Performing Arts Center first opened in 1925, the ornate performance hall was known as the Metropolitan. 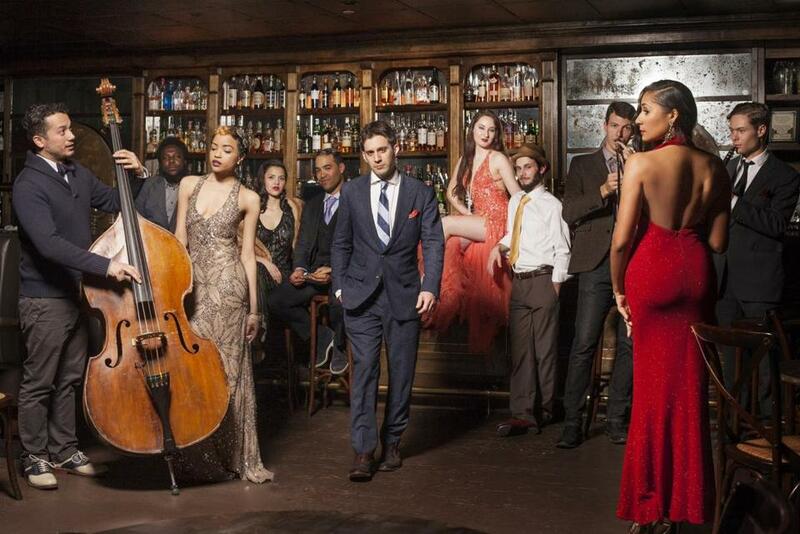 Scott Bradlee’s Postmodern Jukebox [offers] listeners a ticket of sorts back to the Jazz Age of the theater’s beginnings, with Bradlee’s old-time piano anchoring the collective improvisation of a Dixieland ensemble. “Then they’ll get to the part of the song when Justin Bieber taunts an ex because she still hits his phone up. “Despite the vintage sound, his group’s work is not intended as a pure throwback, says Bradlee, a 35-year-old New Jersey native, who recently moved to Los Angeles after launching PMJ from a Queens basement in 2011. “Working outside the conventional music industry in more ways than one, Postmodern Jukebox doesn’t announce all the performers expected at any given performance. Drawing from a roster that now numbers nearly 70 singers and musicians, Bradlee varies the lineup from city to city, depending on location and availability. “Though Niemietz headlines her own shows, acts, and does theater work, she likes the all-for-one-and-one-for-all camaraderie of the PMJ players. “ ‘It’s almost like you’re on a team,’ she says. ‘Everyone is working together to create a larger experience.’ ” More at the Globe.